COURSE DESCRIPTION: This will be a rigorous class, focusing on the development and polishing of one piece of creative nonfiction of up to 4000 words. Thoughtful and detailed critique will be conducted in an online MFA-style workshop format facilitated by the instructor in which each class participant will read and critique each submitted essay. Additionally, we’ll discuss practical tips and techniques and read examples from our text, The Art of the Personal Essay: An Anthology from the Classical Era, to the Present (essays provided), edited by Philip Lopate. This engaging anthology surveys the history of the personal essay as it occurs across cultures dating 2000 years BCE to the modern era. I am finishing up Long Form Creative Nonfiction with Naomi Kimbell. This workshop has been life changing for me. I feel so inspired and empowered as a writer. Naomi really facilitated a safe place to be vulnerable while learning the process. My workshop peers were an amazing group and I am in awe of each of the women I went through this journey with. I really gained a lot of useful knowledge and am sad this is ending! I would absolutely recommend this course and would not hesitate to take another course with Naomi again. ~ Valerie F.
Introduction to the course. Read from the assigned texts, and participate in craft discussion. Students will be assigned a submission date for their essay and a critique calendar will be provided. Student submissions and critiques begin in week 4. Read from the assigned texts, and participate in craft discussion. Read from the assigned texts, and participate in craft discussion. Students 1 & 2: essays submitted to workshop and critiqued. Read from the assigned texts, and participate in craft discussion. Students 3 & 4: essays submitted to workshop and critiqued. Read from the assigned texts, and participate in craft discussion. Students 5 & 6: essays submitted to workshop and critiqued. Read from the assigned texts, and participate in craft discussion. Students 7 & 8: essays submitted to workshop and critiqued. Market discussion and manuscript preparation. Materials needed: All materials provided, but if you would like an excellent resource on personal essay, participants may consider purchasing a copy of The Art of the Personal Essay: An Anthology from the Classical Era, to the Present, edited by Philip Lopate. COST: $250, which includes weekly assignments, individual feedback from the instructor, and access to a private group for student interactions. 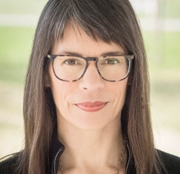 BUY NOW: Long Form Creative Nonfiction with Naomi Kimbell (8 weeks, starting 9/3/2019) Limit: 8 students. Early registration is recommended.